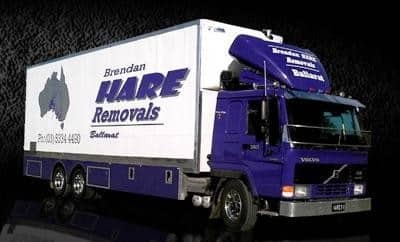 Call Ballarat removalists Brendan Hare Removals for all your local and interstate furniture removals. We travel across VIC to SA, ACT, and Southern NSW. provide transit insurance cover, for further information on transit insurance, please click on our service page on our website. We will take care of your valuables and possessions with the utmost care. 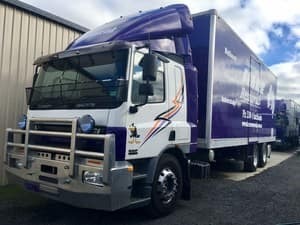 For removals in Ballarat and Victoria, southern New South Wales, South Australia and ACT... we've got you covered. Good service, nearly been 12 months since I moved I'm sure I would move with them again. Terrible, Moved interstate May 2016 (Vic to QLD). approx 90% of my belongings and furniture were damaged. Some items never arrived at all. 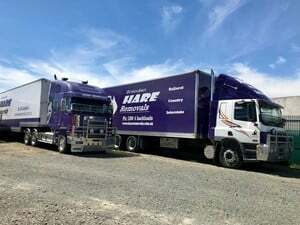 Brendan is very proffessional with our move from nsw & vic border to cairns arrived on time and the staff always keep in touch with time and dates would recomend to any one Great job!!! I have moved in the past and had the most horrendous experiences. Why didn't I know about these guys earlier? They are fantastic! I had to move just a few items and Peta was very patient with me as I moved dates and answered my many questions. The day before the move I rang to confirm and the other customer service person knew all about the booking without me having to explain anything and confirmed the booking on the spot. The guys who turned up were just lovely, efficient and very helpful. Top company, top team... will use again and again. Thank you so much!! !